Travel around the globe without leaving your desktop. Pick up Latin expressions used in ancient Rome and Greece or learn to identify and differentiate the four major religions of the Far East. Our expert tutors are knowledgeable, available 24/7 and ready to help you get a better world history grade. World history is a broad subject that encompasses many aspects of the livelihood of mankind. We understand that every class is unique and each teacher takes on the task of teaching the subject matter differently. That’s why we pair you with a tutor that understands the specific question you have. Our online tutors are available 24/7, so whenever you need world history homework help we are there to help. From Friday evening chats about the French Revolution to Sunday night cram sessions about World War II. Whatever question, whatever time of day. Have 24/7 access to our community of expert tutors. Meet up in an online classroom with the questions you want to ask, concepts you want to discuss or the prompt of a research paper you need help brainstorming for. 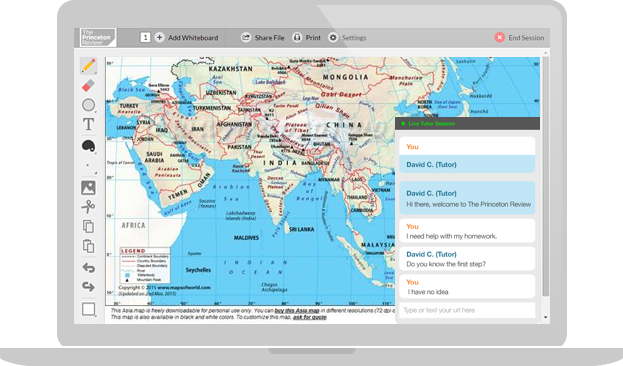 Upload maps to our interactive whiteboard so you can see the geographical disparities between East and West Berlin or sidebar chat with your tutor to ask questions about which President approved the usage of GPS as public domain. Whether you’re on the go or at home–we’ve got you covered. If you're having difficulty grasping concepts, you've come to the right place. Get the grades you're capable of. Get world history homework help now. Q. I would like to learn what I can about Pearl Harbor. Q. I need help with an AP European History essay.